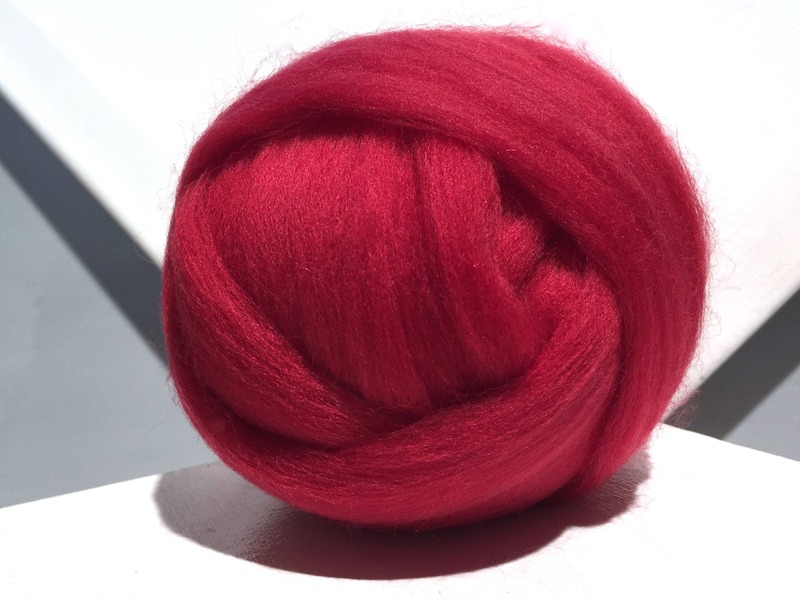 Listing is for one ounce of Crimson Red Merino wool with 3 free samples of blended and/or solid fibers , varying in texture, color, type for your fiber project. If you find something you would like more of, send us a pic of the sample--it's likely we can make you more of just that blend. We draft the remnants of spinning and carding for your samples and these are really pretty fibers! 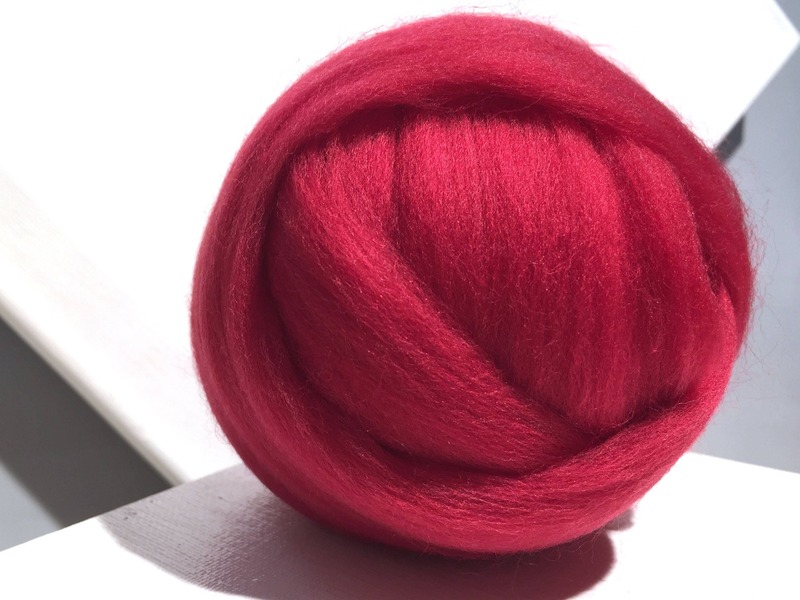 We have, on average, over 100 rovings and batts to choose from—check us out! Great Christmas red color. Perfect for Christmas crafts. This was lovely as well but a bit more "purple" than I expected but I made it work.